The SWAG buzz is still on! 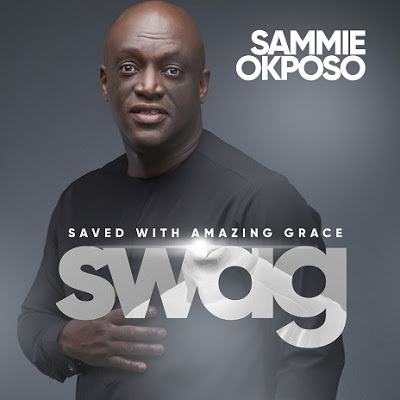 Still revelling from the Album launch concert which held at David’s Christian Center, Amuwo Odofin, but not resting on his oars, Sammie Okposo has announced the release of the SWAG album on all online stores. You can now get the ‘Saved with Amazing Grace’ (S.W.A.G) album on Boomplay Music and other major online selling platform. The album has already garnered 41,000 streams on BoomPlay Music since it’s release on the platform few days ago. The Album launch and DVD recording concert featured many of Nigeria’s finest gospel music ministers such as Frank Edwards, Joe Praize, Mike Abdul, Nosa, Nikki Laoye, Enkay and lots more. The event was hosted by Ccioma and Forever and was star studded and well attended event. People from all around the FESTAC area and beyond stormed the venue for a time of refreshing and worship. The ‘Saved with Amazing Grace’ (SWAG) album is distributed in Nigeria by Johnwealth Music.